Get a quick visual snapshot of the Village’s government structure. It begins with the citizens and includes the Village President, Board of Trustees, Administrator, Committees, Commisions and Boards — as well as the specific departments. 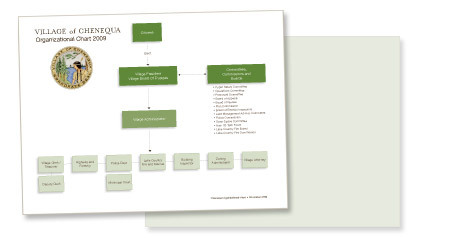 Download a digital version of the Village Organizational Chart.